Well another great year of running. I ran less but still got in 1,500 miles. 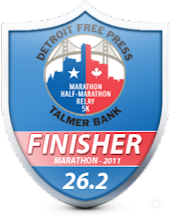 I raced less (16 races and only one marathon and 6 half marathons). 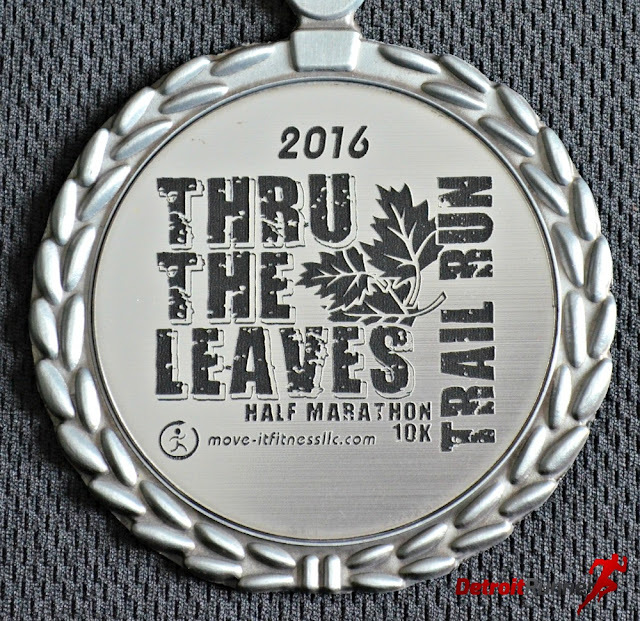 I blogged much less this year and did less race reviews and less product reviews. I didn't take the opportunity to review every product put in front of me like I had in the past and I stopped writing reviews on races I've already ran in the past. I didn't see the purpose in writing a review again since it's obvious if I signed up again that I liked the race. I only posted 19 times this year including today's post. I used Instagram much more than anything this year. I had more fun and really enjoyed the year of training and running. 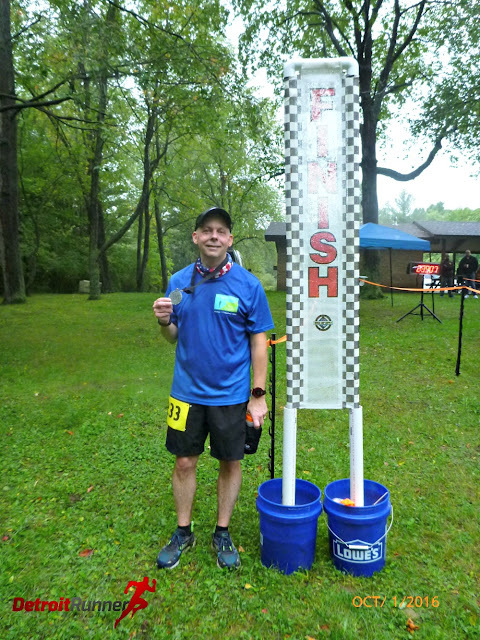 The upcoming year will be filled with more running thanks to a couple challenging races including a very hilly (over 5,000 foot of gain) marathon in New York and a very hilly 50k in the U.P. (my second). It will also involve much less beer (I know crazy!) as I try to get in shape for these very difficult races. 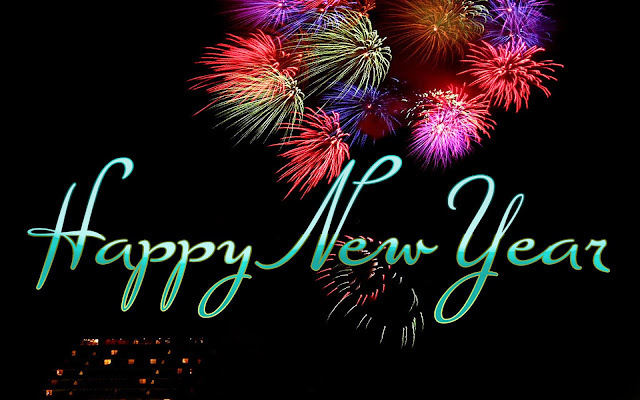 I look forward to what the year has in store for me in regards to running and wish you a very Happy New Year. The contest is over and we had a nice variety of entries through the Blog, Instagram, Twitter and Facebook. The winner of the Nathan giveaway is Kyle B.
Congratulations Kyle - please email me at jeff@detroitrunner (dot com) and I'll get your contact information to Nathan so they can send you this great package! Thanks to Nathan for Sponsoring this great giveaway! 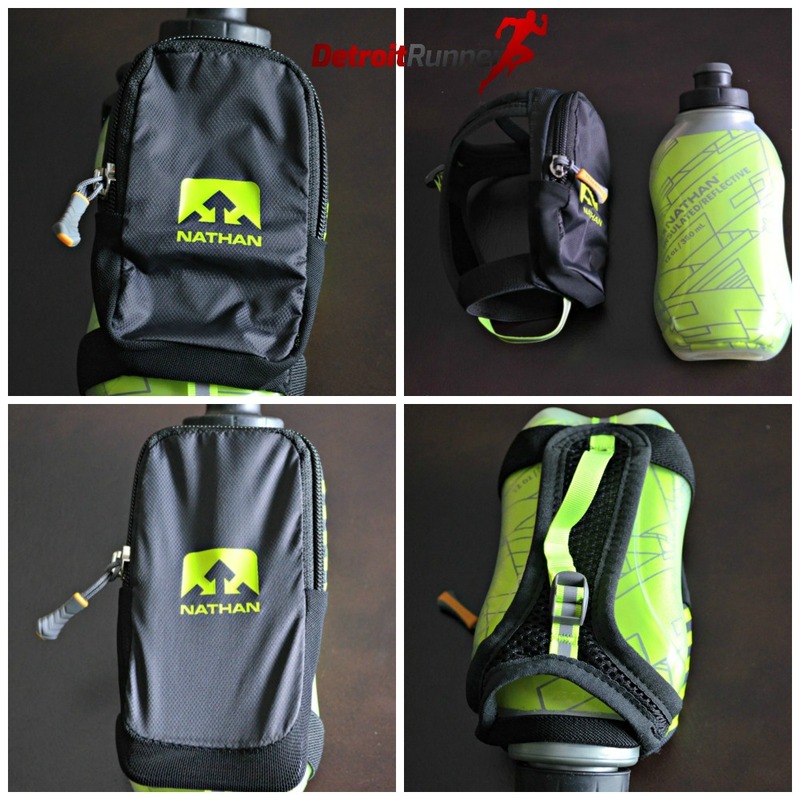 Nathan National Safety Month Review and Giveaway!!! A few weeks back, Nathan sent me a few of their products to test out for National Safety Month. 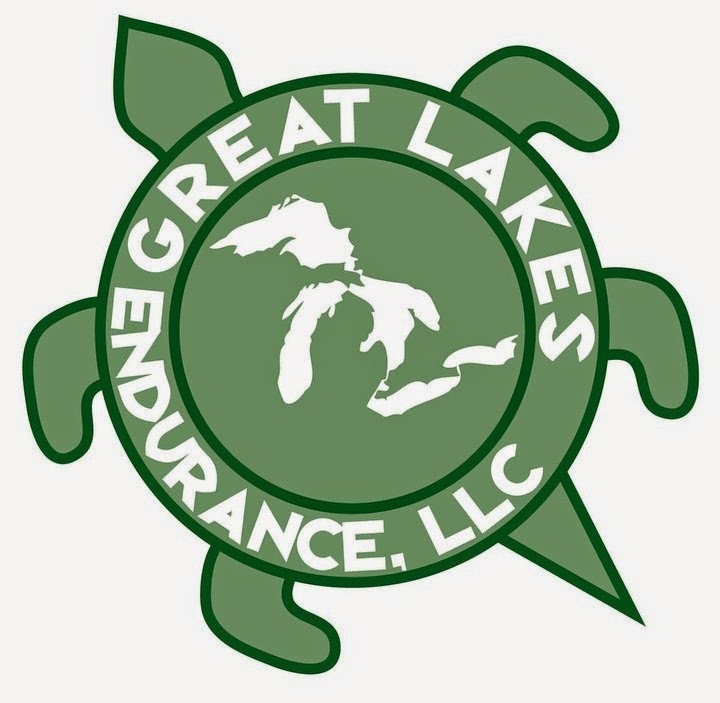 I hope you do what you can to stay safe out there when running. These products will certainly help. First up is the Neutron Fire Headlamp. Honestly, I was a little worried about this because of how small it was but there was no concerns here at all. The headlamp is definitely smaller than what I'm used to running with which is a welcome change. You barely know that you are wearing this headlamp! 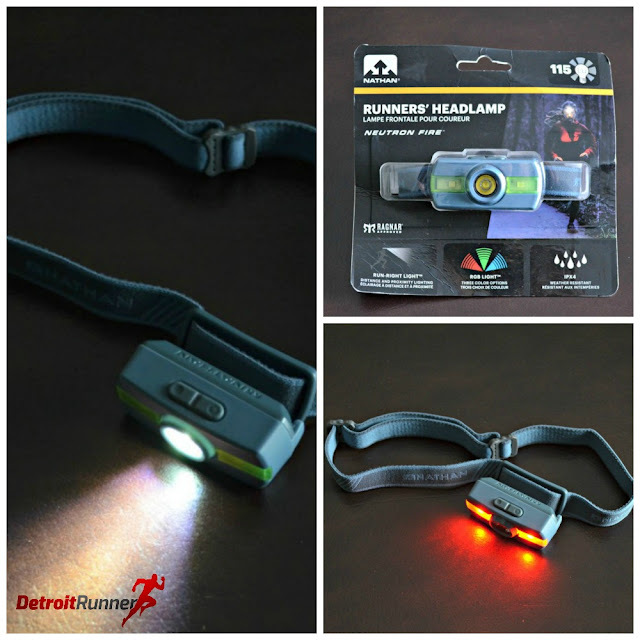 The headlamp has a white light setting that is low (25 Lu), medium (45 Lu), high (90 Lu) and sprint (115 Lu) giving it various levels of light. It also offers a strobe (45 Lu). 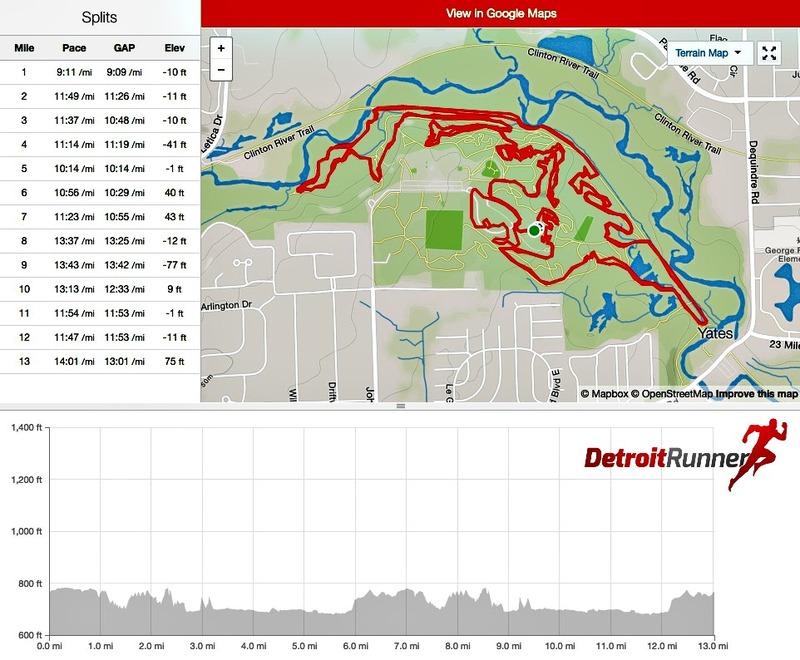 I pretty much used the medium or high depending if I was running with another runner and didn't need the brightness or high if I were running alone. In addition, there is a setting for green, blue or red lights as well to help you see. The light is fully adjustable so you can get it to the tightness you want to wear it. The light takes 2 AAA batteries and lasts up to six hours on high and 90 Lumens is more than enough to see the road or the trail. I typically run trails, where it's REALLY dark early mornings and it does a great job leading the way. The lamp is adjustable so you can have light going further out or tilt it down so it's closer to your feet. It's also water resistant and I ran one morning in the rain with no issues at all. The next product Nathan sent was the Hipster. This is a product to allow you to run with your phone, gels or any miscellaneous items. Personally I didn't think it was good for storing a key since there is no clip or zipper. It was, however, outstanding for carrying your phone on your run which, of course, keeps you much safer. I have the iPhone 7 and you can see from the picture on the right that it fits perfectly. I know that many of you worry about running with this for fear of it bouncing around, however, the fact this fits well around your waist at your hips keeps the phone against you and it does not bounce. It has several openings to store things on the front (which I found best for the phone), the sides and back. I've run over 60 miles with it and you can't even tell it's there. I found myself checking during the run since I could not tell if I still had my phone with me! 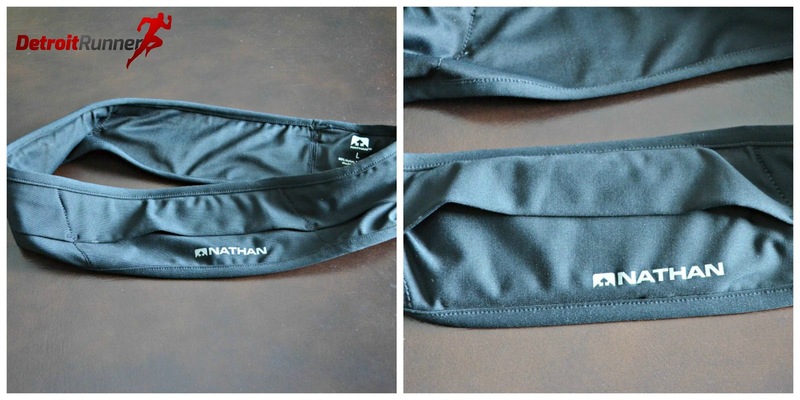 One of the best running belts I've ever tested and I'm so excited to have this on my runs now. Previously I've rarely run with my phone but now I do all the time. Not only is it safer to run with your phone, but you get an opportunity to take pictures on your run like this one I took on today's 10 mile run. Next up is the Speedshot Plus Insulated bottle. As you can see from the pictures above, it's got a nice wide opening for drinking. It also has an angle at the opening to help make it easier to drink. It comes with a pouch on the front to allow you to store keys or gels and I'm always carrying a key and car fob since I drive to the trail. The lower left picture was taken with my iPhone 7 in the front. I had to stretch it to get it in there but it did fit. Of course, if you have the Hipster, you don't need your phone in this. I was even able to put my lightweight gloves in there from this mornings run once I warmed up. For me, it's the perfect size for most of my training runs. Next I tested the Mag Strobe. 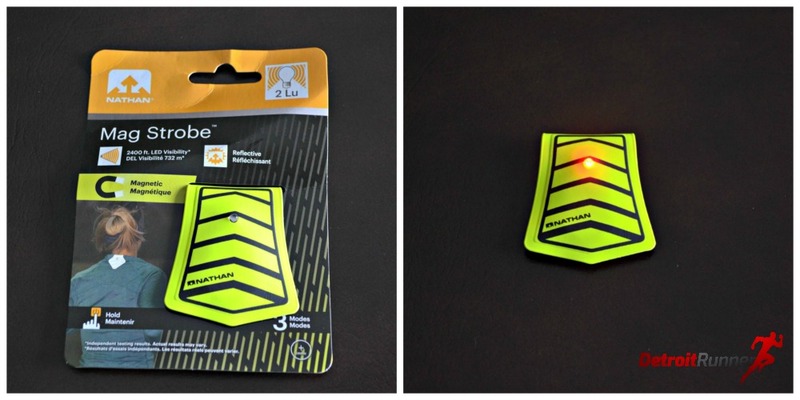 The Nathan Mag Strobe is an extra light you can use either on the front of your shirt or on the back to help cars see you. While the light itself is small, it can project light up to 2400 feet so cars see you coming or them coming up from behind you. 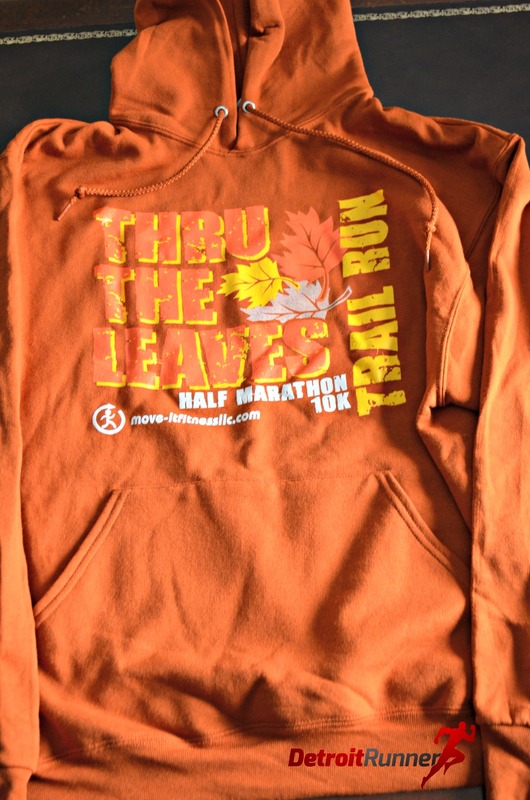 It's one extra precaution you can use especially while out running on the roads. In my experience, you cannot have enough reflective gear, lights, headlamps on especially when you are running roads early in the morning or late in the evening. I sometimes have 3 or 4 items to help me be seen and still cars don't see you! This is especially true for 5am runs where drivers are still asleep and not looking for you. 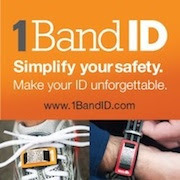 It runs on a watch battery and clips to your clothing with a built in magnet. Last but not least, I tested the LightSpur RX. 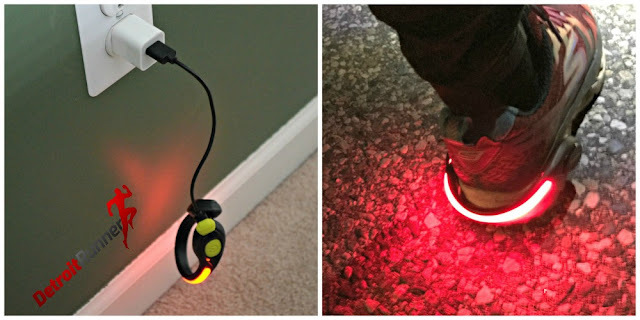 This is a nifty little light that clips onto the back of your shoe. The light stays on because there are little spurs that rest against the shoe to stay in place. Personally I think it's better suited for road running than trail running but it worked well for both and stays in place. I say this just because sometimes you brush up against things on the trail. The light itself is bright and you can change it to blue, green or red and it can be a steady state light or flashing. I actually prefer the flashing light since cars tend to see you better when the light you have is flashing. It's also rechargeable so no need to replace batteries. As you can see, I have it plugged into my iPhone charger and the cable that comes with the LightSpur. The light will last anywhere from 8 to 16 hours depending on if it's on continuously or on strobe. This is one of those products I put in the category of using with several other safety items like the Mag Strobe and the Headlamp. It's nice to have something that is lighted in back of you in case a car comes up behind you. 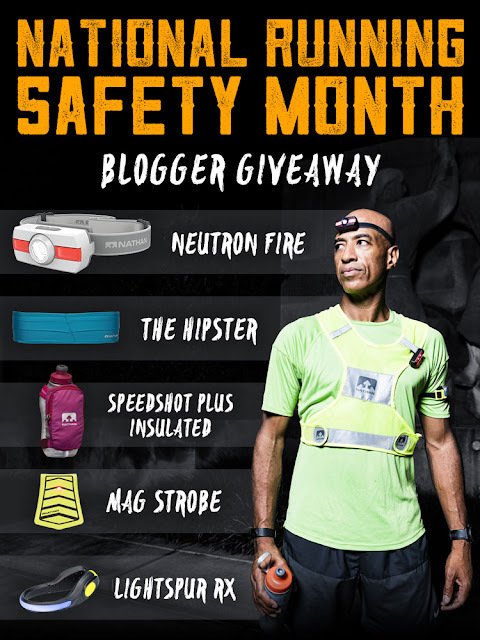 Overall, these are a great set of products to help you be safer when out running whether it's light out or dark. All of the Nathan products are high quality and I can tell they will last for many years to come. Three ways to win! Good luck to all. I'll announce a winner on November 15th and have Nathan send out your package directly to you. Disclosure: I received all 5 products from Nathan in exchange for a review and giveaway. All opinions are my own and I was not required to give a particular opinion other than an honest one.